Perfect place to stop for a lunch after a long walk on Irvine beach. Dog friendly in the Snug area. Dogs allowed in the bar where you can order food. A warm Welcome awaits you at the Horizon, Ayrs only Seafront Hotel. One of Ayrs longest running family hotels since 1980. Coffee shop in Troon serving usual range of good food! Breakfasts, toasties, baked potatoes, home made soups and great home baking. Our scones are our speciality! Dogs are welcome (a maximum of 2 at any one time). Another great dog walk set over 400 hectares! Great for visitors to the area. 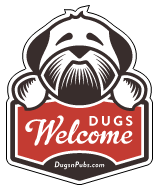 There are a total of 48 dog friendly listings in the Ayrshire category. Please log in, or sign up as a member to view all listings.